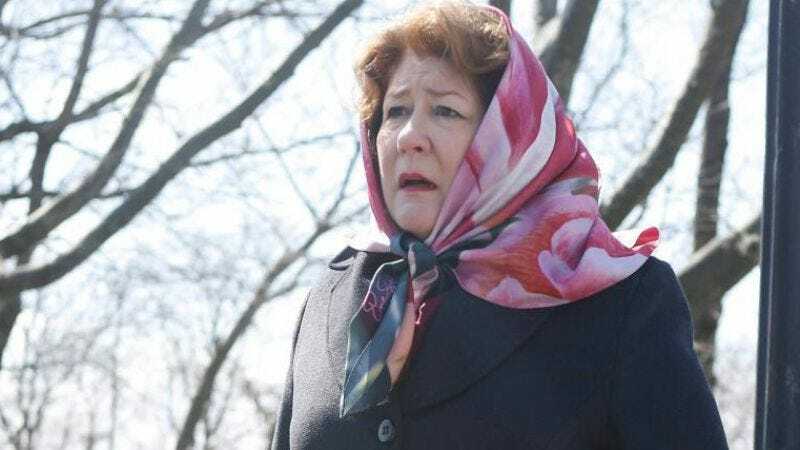 Margo Martindale has impressed audiences with powerful, charismatic turns on The Americans, Justified, Dexter, and The Riches. (She was also on The Millers.) Now, Deadline reports that the Emmy-winning actress is set to co-star on Sneaky Pete, the CBS drama pilot that is being written and produced by Bryan Cranston and House creator David Shore. As we previously reported, the show involves a thirtysomething con man who assumes a cellmate’s identity upon leaving prison, hiding from his debtors while working as a bail bondsman for his new “family” business. Martindale will play Audrey, a married woman “trying to keep the family bail bond business afloat when Pete shows up on their doorstep.” No word yet on whether Pete will end each episode by saying, “Well, there’s nothing quite like family,” then turning to the camera and giving an exaggerated wink. The title role has not been cast yet, although we think Armin Tamzarian should be a lock for the part.